In February, andBeyond launched six new mobile camping safaris through the most iconic wildlife areas of Botswana. Privately guided throughout, these andBeyond Expeditions offer the adventurous traveller exclusive game viewing experiences combined with comfortable and fully serviced mobile camping accommodation. The all-inclusive safaris range from six to eight-night safaris and include the Chobe National Park, Savute, Okavango Delta and Nxai Pans National Park. 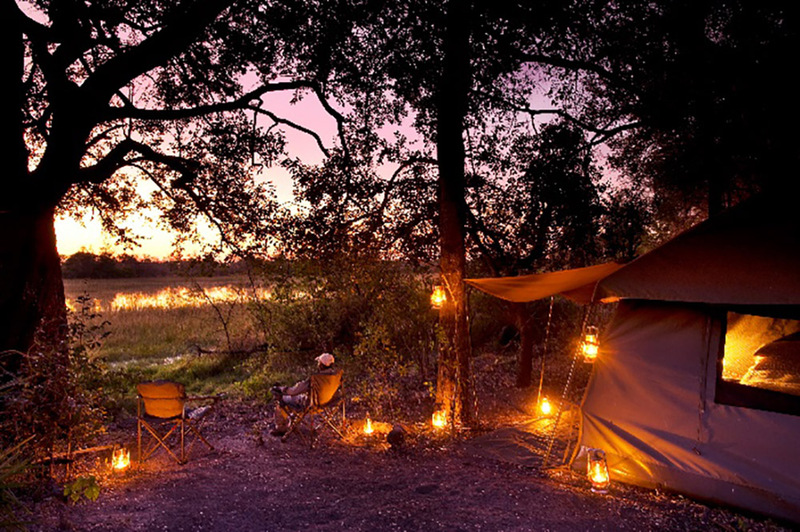 While all the options include the mobile camping element, some of the safaris also provide a final touch of luxury, as they end with a few nights at one of andBeyond’s luxury Okavango Delta lodges. Accommodation is in spacious dome tents with ensuite bathrooms, separate toilets and hot bucket showers. Each mobile camp boasts three guest tents, which provide basic yet comfortable camping-style accommodation. The Botswana Expeditions start from £2,500 per person per night. For further information or to book contact your preferred Africa travel specialist or visit our website. andBeyond Nxabega Okavango Tented Camp’s nine luxury tents are currently undergoing a full rebuild and refurbishment. The tented camp is due to fully re-open on 11 May and guests can look forward to glamorous, light and earthy interiors with sensational views across the Delta. A well as a bedroom and en-suite bathroom revamp, the private verandas will be extended offering a comfortable, spacious sitting area with refreshed furniture. A wonderful new addition to the tents will be a private sala, the perfect retreat to while away the hours in between game viewing adventures. Families will be well taken care of too as two of the luxury tents will be converted into a family tent, ensuring a magical multi-generational travel experience for all. andBeyond Nxabega Okavango Tented Camp lies in an exclusive concession near permanent water channels, providing consistent year round water and land based game viewing – the area is known for its giraffes. Guests can experience a game drive or walking safari, delight in a mokoro canoe excursion and enjoy the variety of bird life including the elusive Pel’s Fishing Owl and majestic fish eagles. They can also have the opportunity to make use of a private safari vehicle – subject to availability and at an additional cost. Rates at andBeyond Nxabega Okavango Tented Camp start from £650 per person per night. This is based on two sharing and include all meals, two safari activities and national park fees.